The Argenta Gap War Cemetery is one of the larger Commonwealth War Cemeteries in Italy. 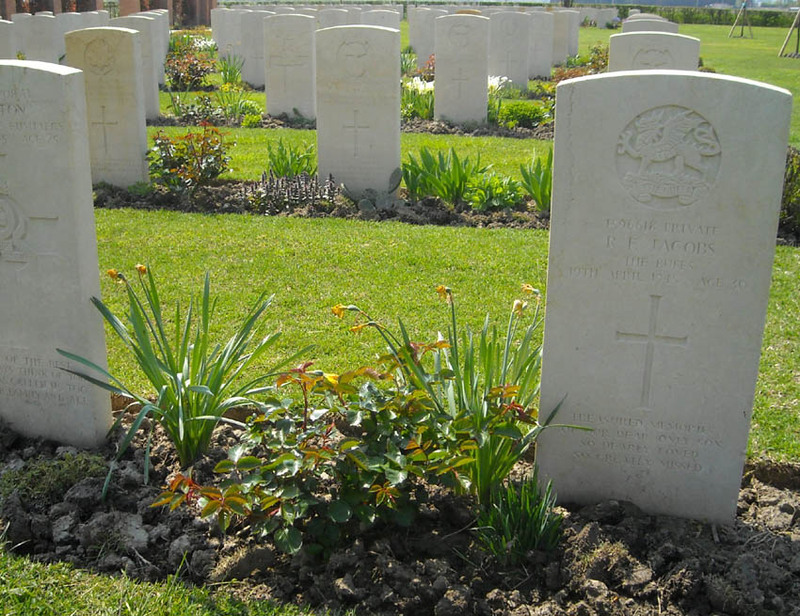 The cemetery holds 625 war graves - most of them graves of soldiers that were killed in the northern part of Italy during the last few months of World War II. Quite a number of higher ranking officers are buried at this cemetery. 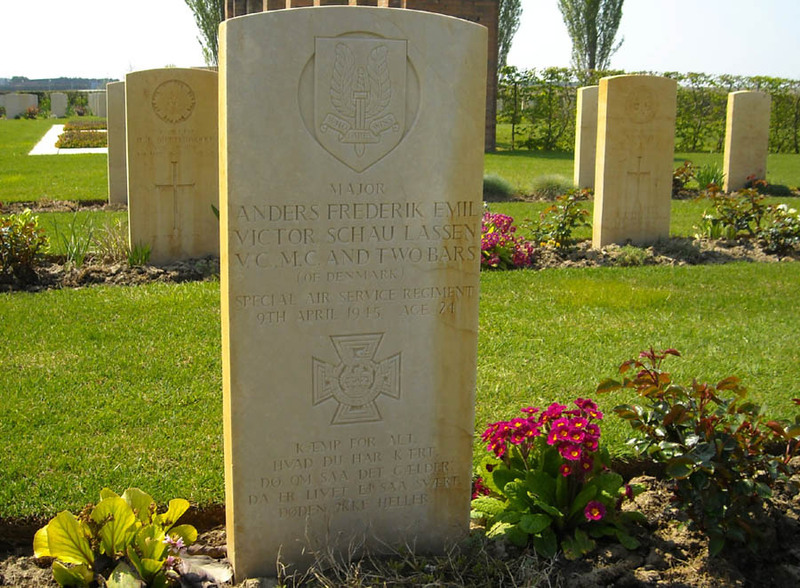 The grave of Major Anders (Andy) Lassen - VC, MC and two bars - at the Argenta Gap War Cemetery. 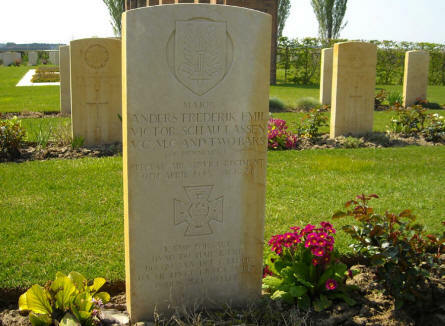 Anders Lassen had escaped from Denmark and joint the special forces in the the UK. 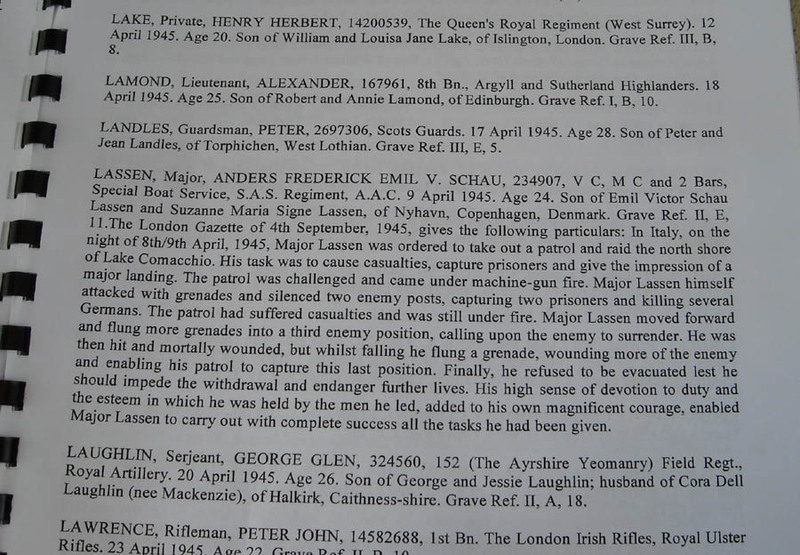 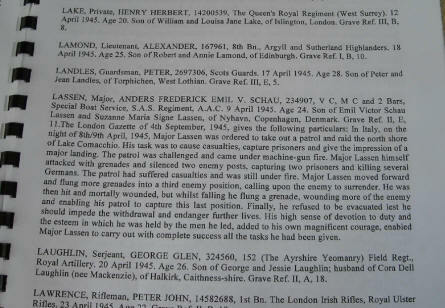 The story of Major Anders (Andy) Lassen as it it written in the index book at the Argenta Gap War Cemetery. 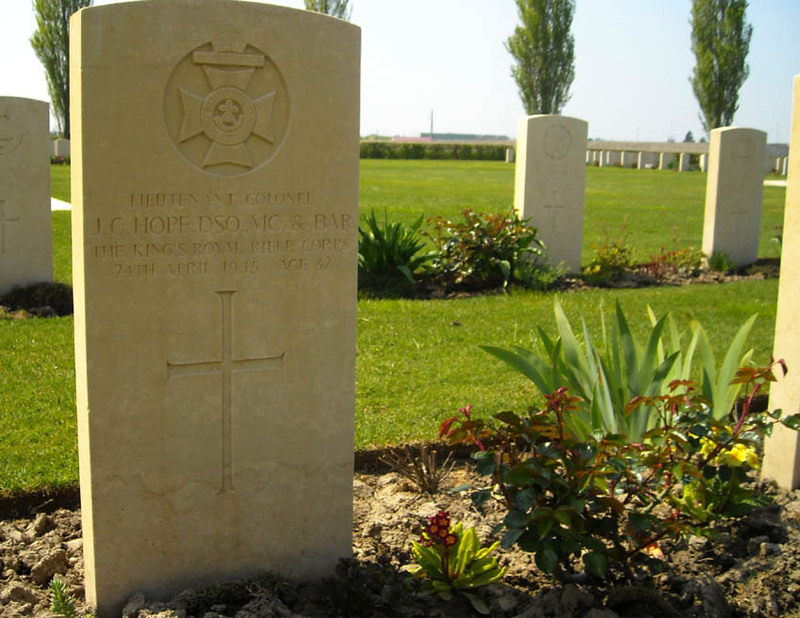 The grave of Lieutenant Colonel J. C. Hope - DSO, MC & bar - at the Argenta Gap War Cemetery. 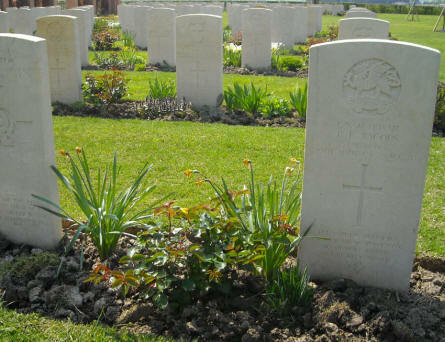 Some of the many war graves at the Argenta Gap War Cemetery. 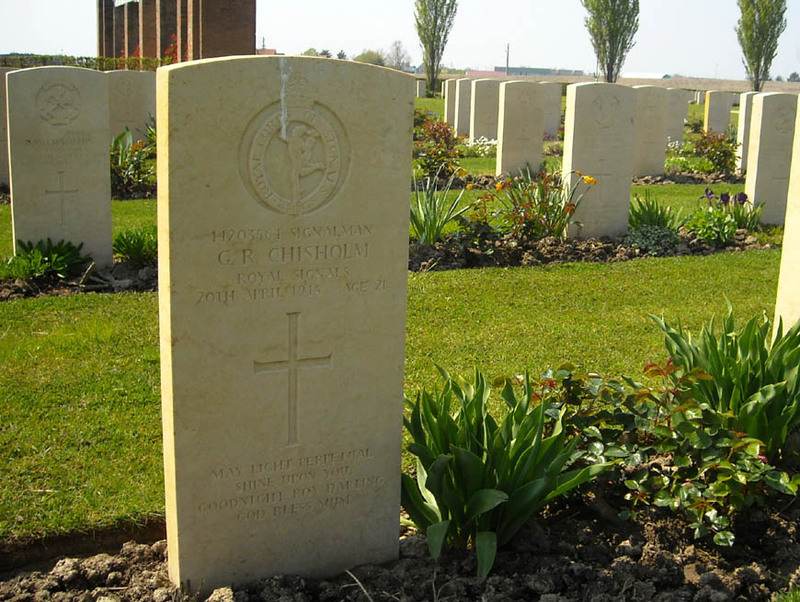 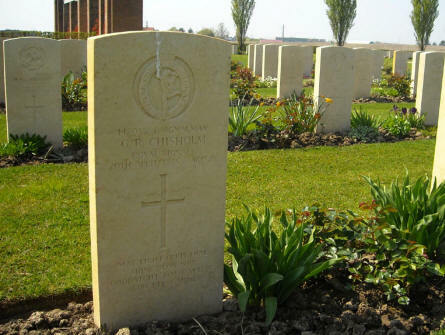 The grave of Signalman G. R. Chisholm at the Argenta Gap War Cemetery. 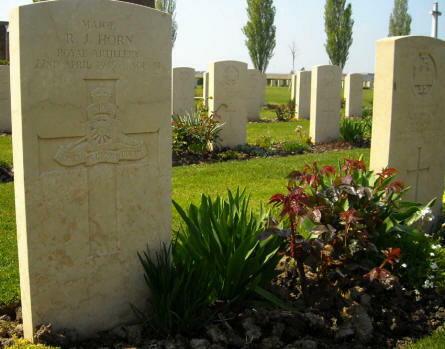 The grave of Major R. J. Horn at the Argenta Gap War Cemetery.